In a draconian interpretation of its new car tax rules, bureaucrats at the DVLA have effectively banned the private purchase and driving away of used cars. In response to a reader, HJ had suggested that a private buyer could still buy a taxed car from a private vendor and, assuming the car was MoT’d and insured, he could drive it home. HJ’s reasoning was that, though the car officially had to be re-taxed by the purchaser, the change of keepership would not actually occur until the DVLA had received the completed V5C sections from both vendor and purchaser. If they were posted to the DVLA, that would then give time for the purchaser to get the car home, then complete the V5C/2 online and re-tax the car as soon as he reasonably could, which is all “a reasonable man” could expect in the circumstances. 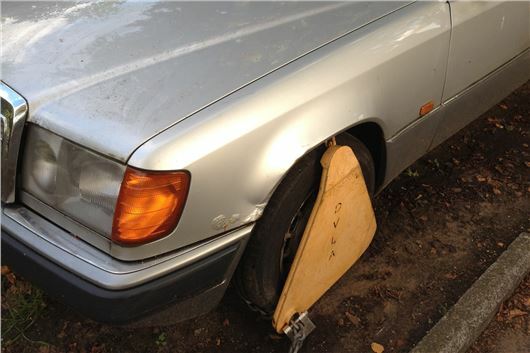 In a response to an HJ reader, a DVLA official has asserted, “I can confirm that new keepers must tax vehicles immediately before they can be used on the road. So what the DVLA is saying is that if you buy a used car from a private vendor you cannot drive it away until you have confirmed the change of keepership online or at a post office and have taxed the car, which you cannot do until you have specific insurance cover for it. So, officially, unless both vendor and purchaser can get online to the DVLA at the keeper’s address (or the purchaser can get to a post office) and unless the registration of the car is specifically insured by the purchaser, he cannot drive the car away. And they can’t even get online to the DVLA if the DVLA system is down, which it frequently has been since the changes took place. This information regarding a chage in legislation should be front page on every newspaper and news bulletin. In the event of a new buyer having an accident on the way home following purchase would the insurance company be within their rights not pay out? In the event of the new buyer being stopped by the police,or committing a speeding offence on the way home,clearly they would in addition be compounding the offence by not having road tax in their name. Being reluctant to contribute to the new " 1 month's tax for the price of 2" by buying or selling mid month, I can see a trend where all transactions are recorded on the last day of the month, with a possibility that sellers actually drive the vehicle to the buyer's registered address, assuming the insurance cover is still operative. A sudden surge in workload at the start of the month for the DVLA may make them think again. Meanwhile " Trade Plate Hire" looks a possible new business opportunity. Abolishing the paper disc and attendant legislative changes was trumpeted as being more efficient. If the Treasury had really wanted it to be efficient, you would be able to notify changes of ownership, obtain refunds of VED and tax your newly-purchased car all online, so there would be no need for overlapping 'full month' taxing of vehicles by both the seller and the buyer - the DVLA computer could apportion the tax automatically. This, however, wouldn't create the windfall receipts that the system currently generates. Don't forget the facility to start an online petition at epetitions.direct.gov.u... and lobby your MP. Where are the so-called motoring organisations when you need them? AFAIK there is still NO NEED to tax a car that is on its way to a PRE-ARRANGED MOT. The buyer will of course want the vehicle tested at a test station near to his home in case repairs are needed. One can surmise that once the tester enters the vehicle registration onto the DVLA computer, police cars and ANPR will know that the vehicle is on its way to an MOT and won't be hounding the driver for road tax. The vehicle must be insured however. Even the last statement is a moot point as scrap metal dealers and people in the motor trade often have Motor Trade Insurance. There was considerable amusement in the town where I live when the scrap-man was "pulled" for no insurance by a rookie cop. All the locals knew that the man had Motor Trade Insurance but the rookie didn't and MTI does not compute! You do not need a cover note, or the car to have been updated on the motor insurance database to tax a car either at a post office or online except in Northern Ireland. As long as you have access to the internet you can do it immediately. This article is incorrect and needs amending - the insurance check for taxing a car was abolished in 2013.
reg number say with DayInsurance.com or whoever, how does anybody know exactly WHEN the changeover of keepership occurs? with the vendor’s permission. When he gets home, they both complete the transfer. to execute the transfer of keeper? How do the DVLA verify anyone’s ID? Transfer dates and procedures are exactly the same as before - they are down to the day, not the hour. This hasn't changed at all. The existing tax is cancelled from the day which is written on the V5 - so, if the date of sale/transfer on the V5 is the 21st and the new keeper doesn't tax it until the 26th the system will eventually see a gap and may send a penalty. It is really pretty easy to tax a car online using the new keeper's supplement. This article has simply got it's facts wrong and is over a year out of date about taxing requirements with regards to proof of insurance.